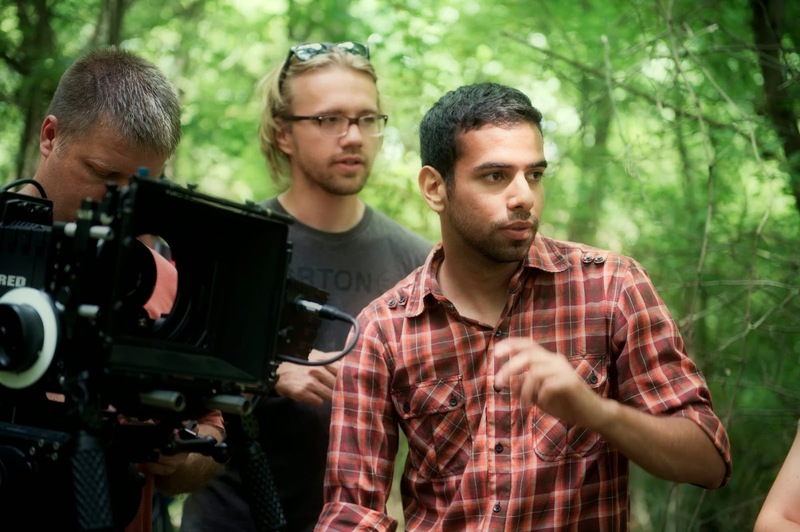 Faraj is the Cleveland phenom behind the independent feature film The Wind is Watching, inching its way through the final stages of post-production and that much closer to a silver screen near you. Already, the $52,000 film, which tells the tale of Cara, a young woman, searching for her brother, traveling through a collapsed society, has mustered a cast and crew of 50, shooting in 28 locations across Northeast Ohio. If you watch the trailer, you will likely agree this dystopian fantasy feels like a big budget movie, and Faraj is happy you think so. It’s what he was going after, what he believes in - and what keeps him up at night. We sat down with Faraj recently (via email) and talked about his life before the Midwest and his dreams of making even bigger and bolder films. Midwest Movie Maker (MMM): Tell us a little bit about yourself. Conrad Faraj (CF): I was born and raised in the most violent city in the world, San Pedro Sula, in Honduras, Central America. I lived there until I was 12 years old. My parents were transferred to Cincinnati, Ohio. Everything sort of shifted dramatically at that point. Instead of speaking Spanish every day, I started speaking English. Everything seemed so safe. I could actually walk around my neighborhood. I'm pretty sure I'm the only person in my family that wasn’t held at gunpoint. I miss my family back at home, but I know that I can never go back. MMM: How did you discover filmmaking. What was the "thing" that made you want to be a filmmaker? CF: During my first few months in the U.S., I wrote short stories, as a sort of hobby. Most were Harry Potter fan fiction, some about superheroes. I would write about anything. I always thought writing and reading was daunting because it was a requirement at school, but then I learned it could be used as a tool for creativity. So then one day I thought to myself, "Wouldn't it be great if someone made a movie about one of my short stories?" And after playing with that thought for a couple of weeks, I decided to make it for myself. I borrowed my stepfather's video camera, a few friends, Halloween make-up, and bam, I was an instant filmmaker. MMM: I’ve read that you’ve made more than 100 short films. Can you tell me a bit about them? Which one did you like the best? The least? CF: I thought my very first short film, The Big Disaster, was a masterpiece. My 12-year-old self was so proud of it. Only months later did I realize that it is one of the worst pieces of short narrative cinema ever created in history. Its really bad. So I made more and more and more. I was addicted. I got hold of better cameras. I began teaching myself how to edit on a computer. I started blocking actors and actually directing people. It was amazing. It wasn't until mid-2009, when I was 18-years old, that I decided to take everything more seriously. After making over 150 shorts, many of which are still on VHS tapes, I decided to enter more serious ground with a 40-minute drama titled The Artist, co-written by my friends Meg Quisenberry and Bash Naran. It was the first film I had entered in film festivals, and to my surprise, it was beating films from USC and UCLA. At that point, as I started to get the hang of it, I thought of myself as a real filmmaker. MMM: What did you learn from making all those shorts? CF: I became more versatile as a filmmaker by making all of these short films. I tried all kinds of genres, from horror to western, even animation. The more I made, the better I got. I believe it was director Robert Rodriguez who said "Every director has at least 10 bad films in them." I was trying to get them out of the way. MMM: You have a bunch on your slate for 2014. CF: 2014 is going to be intense. I've never had so many projects. But I feel confident enough to pull through with all of them. I know I have an incredible team supporting me. Many have stuck with me for years. The Wind is Watching is probably the first film we're releasing this year. Its a dystopian war/road film shot in mid-2012, using the Red Epic camera system. I remember coming up with the entire plot and story while working on another film in New York City earlier that year. I kept asking myself, "Why aren't I doing big movies like this?" I spent three months putting together a budget for the film. It was hard at first, because who would trust an unknown 21-year old filmmaker with so much money? But ultimately I think they felt I knew I was doing. We've been in post for over a year now. There are visual effects in every single scene of The Wind is Watching, and I've been trying to hire an orchestra to score whole the entire thing. Its ambitious, but I think very doable. Colony 52 is a film I would be scared to see. It’s about cults, one of my biggest phobias. I guess I sort of built up this fear from living in a country where gangs and murderers are quite common. I tried to shoot Colony oa minimalist budget, while still maintaining the highest quality. I'd like to say we were successful. The film looks absolutely surreal, and we are one of the very first filmmakers to use the Blackmagic Cinema Camera for an entire feature film. I Saw An Alien is the most bizarre film we've ever written. Its an 'out there' kind of movie. We plan to shoot it documentary-style in mid-summer. The film follows a man named Bob, who claims to have come into contact with extraterrestrials, responsible for the disappearance of his dog. MMM: How do you keep up that pace? Are you writing, producing, directing each? CF: Inspiration, motivation and lots coffee. I've always wanted to be a part of the entertainment industry, and I know its not going to get any easier if I just sit around and wait for things to come to me. That will never happen. The more I explore a certain field, the more knowledgeable I become, and it prepares me for bigger opportunities, whatever those may be. However, I would be nothing without the help and support of my fantastic collaborators. Filmmaking is about teamwork, and I am very grateful to have a small filmmaking family that goes along for every crazy ride I put them through. MMM: A lot of young filmmakers wonder how to get the budget to make the kind of film they want to make. Do you have advice for them? CF: All independent filmmakers need to start thinking like both businessmen and artists. If you want enough money to make your art, you first need to sell the idea to someone who can make that happen. My mother is a self-made business woman and I learned a lot from her. If you know someone who you think "could" help you obtain your budget, you shouldn't think twice. You convince them why they need to help you, even if that person doesn't know anything about movies. Convincing is key. I've been fortunate enough to have met some great investors who have supported me in many of my projects. The more inspired you are about a project, the more they'll become excited about it. They'll trust you, but it is your job to keep that trust. Once you get the money you need, then you can't let these people down. You may not get another chance to prove yourself. MMM: How do you go about getting your films in front of audiences? CF: I think everyone has a completely different approach as to how to get a film seen by audiences. For my feature films, its the festival route. It puts your films right in front of distributors, who are the people who are in charge of putting your films in theaters and on DVD. My goal is to make an impression on them, leading to sale of the films. Online advertising is also very important, as you start to build a following. It makes people interested in your movie, and builds up word of mouth. Promote as much as you can, and send your film to as many film festivals as you can. Eventually someone's bound to notice you. MMM: Tell me a bit about shooting in Ohio. CF: Shooting in the Midwest is an absolute privilege. Since the Midwest isn't a big movie area like L.A. or New York, people out here are even more willing to help every time a project comes into town. The Midwest breeds hard workers. People who are willing to go the extra mile to make an idea happen. I'm very gracious to the Greater Cleveland Film Commission, who have helped us in the past with putting out ads and marketing our films. They usually help us find the right crew and locations needed for our projects, no matter the scale. Its no surprise to me why bigger studios are bringing some of the bigger films out here. It’s a great atmosphere, with a strong film community. MMM: If you make it big, will you continue making film in the Midwest? CF: If the opportunity presents itself, I would love to continue making films in the Midwest. I want to expand my horizons as a filmmaker, and shoot all over the world, but there's always a great sense of community out here, and that's something I won't find anywhere else.